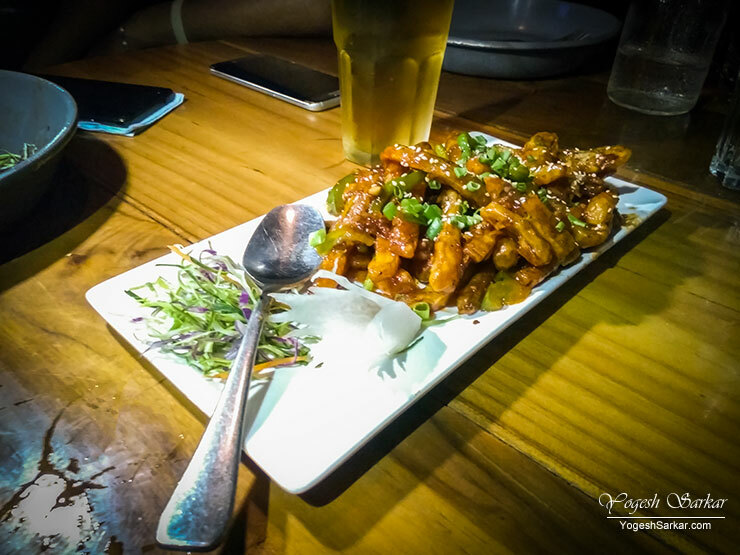 It’s been a couple of months since I last hung out with Neha and KP, so finally, on this Sunday, we decided to hang out at one of the pubs at Sector 29 Market in Gurgaon. Reaching there first, I checked out a couple of places and finally zeroed in on Factory by Sutra, mainly because I liked the ambiance and the music system they had, and also due to the fact that I really like Sutra Gastropub at CyberHub. Yesterday, we didn’t order a lot, just a few basic drinks and Honey Chili Potato (twice), which was sadly a bit bland for my taste and although the mustard sauce did save the day. I was a little disappointed to tell you the truth and wouldn’t have likely ordered it again, but KP wanted it, so we had it once again. 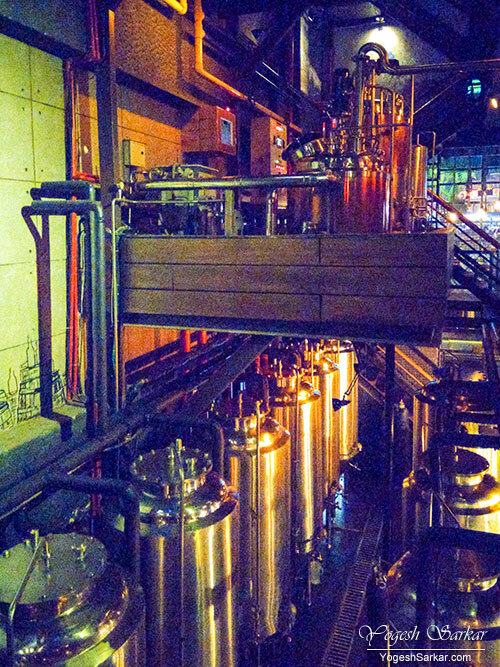 Coming to the drinks, Factory by Sutra has its own micro-brewery and it looks absolutely gorgeous. 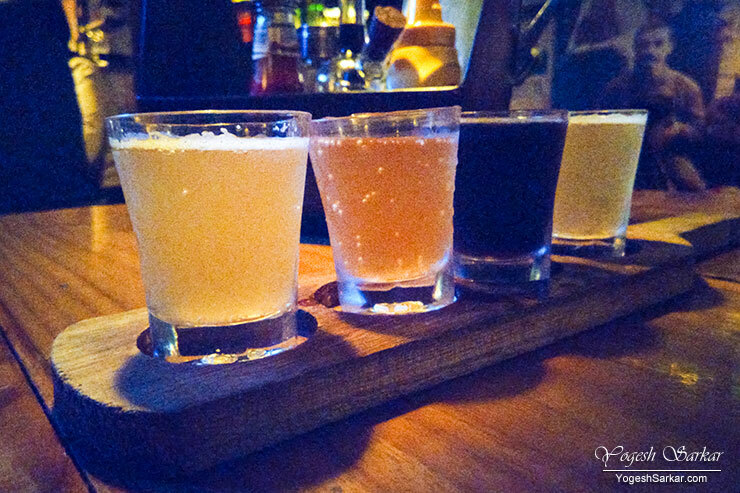 And the good thing about Factory by Sutra is, they give you tasters at the beginning so that you can choose and order from their 4 craft beers; Premium Lager, German Wheat, Dark and Dunkel Wheat. Out of the four, German Wheat tasted the best. However, it was still very mild for our taste, so we ordered Kingfish Premium Beer (pints) instead and a Smirnoff Vodka with Green Apple. Next up, we order a repeat of Vodka, Jameson Irish Whisky, and JW Red Label. Sadly, all three felt diluted. This came as a complete surprise to us and almost made us leave the place and head somewhere else. However, with lovely music and ambiance, I didn’t really want to leave and decided to stick around and ordered a couple of Kingfisher Premiums for the third round. 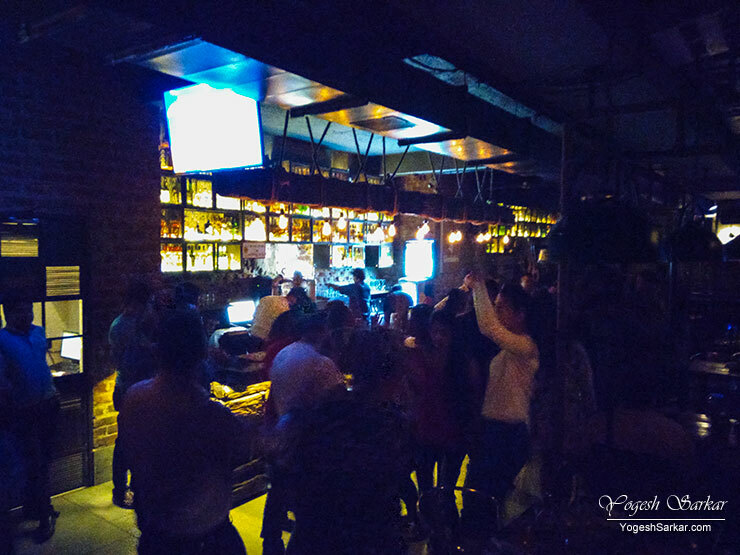 By now Factory by Sutra was almost packed to the brim and everyone was having a great time. 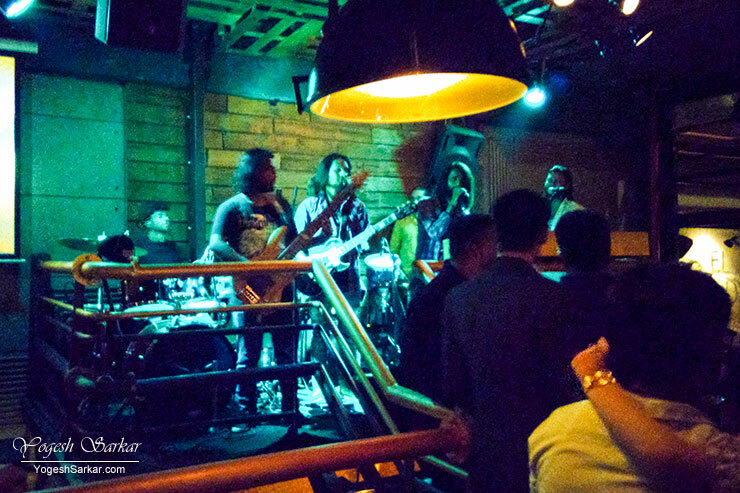 Even after the band stopped playing and the DJ stepped in, the energy of the place was fantastic! Service on the other hand, from the beginning till the end was courteous but slow. With even beer and whiskey taking their sweet time to arrive. The final bill for 2 x Honey Chill Potatoes, 1 JW Red Label, 1 Jameson, 4 x Kingfisher Premium and 2 x Smirnoff came out to be Rs. 2,414, which is sort of ok. Though if the whiskeys and vodkas had tasted right, it would have seemed justified. 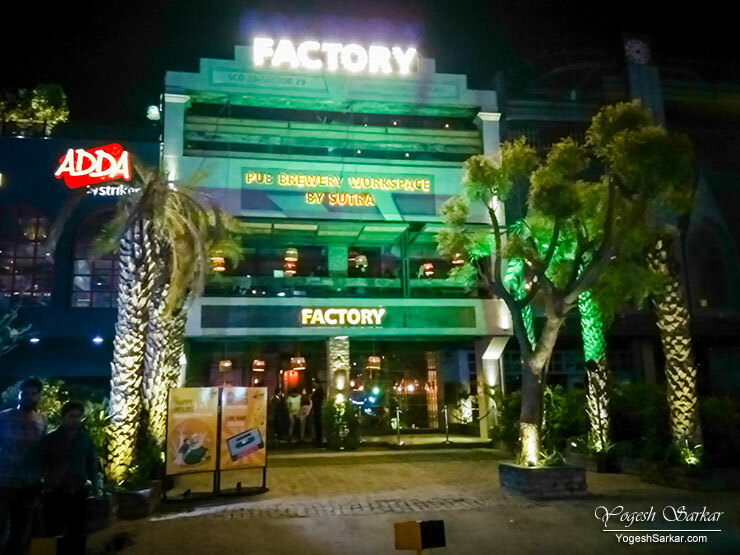 In the end, despite the hiccups mentioned above, I would still love to go back to Factory by Sutra, mainly for the great music and ambiance they offer. Ps. Floor manager saw me taking photos of the menu and told me, they do not permit taking photos of the menu. By then I had almost finished taking photographs, so I stopped. But I did find this rule quite weird.